Free Cycles leads a monthly workshop to help women become more confident when working on their bicycle. Bring your bike, your questions, food and/or drink to share and enjoy the camaraderie of other women interested in being more independent with their bikes. Please feel free to stop by anytime between 5pm-8pm, if you can't make it at 5 it's no problem! Free admissions, yet donations are appreciated. All women and non-binary people are welcome! (Free Cycles can provide bicycles for people to work on if needed.) 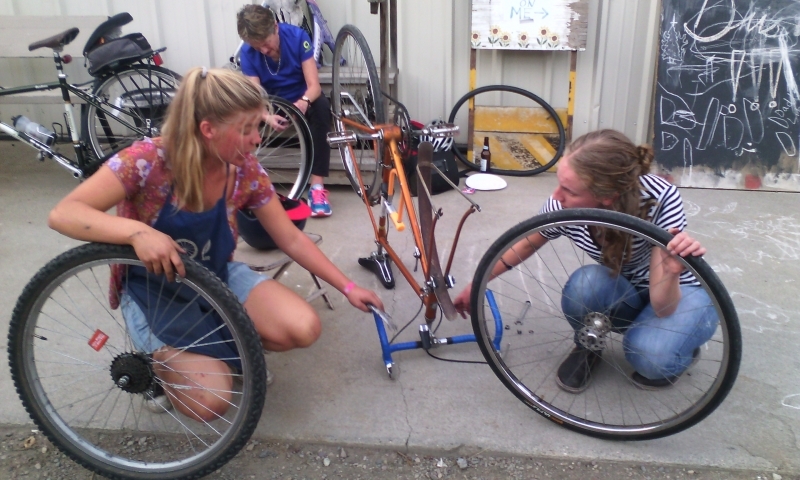 This is a great hands-on introductory workshop to learn and practice repair skills on your bicycle. Check out this sweet video about the workshops made by student Jamie Calderbank. Hope to see new and returning faces! Please feel free to come learn, help out, or hang out. Also, any feedback or ideas regarding these workshops is always helpful. Thank you everyone!